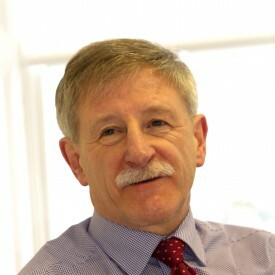 Having tried his hand at Accountancy and journalism, Gene duly followed the family tradition into Law and qualified as a Solicitor in Easter 1981. In those days, a Solicitor in a Family Firm was a “Jack of all Trades” but now Gene mainly handles Commercial Conveyancing and Commercial Lending with some high end residential conveyancing. He also has a substantial client base working for the large ethnic communities in Bray, Co. Wicklow. Gene has been Chair of Board of Management of Presentation College, Bray from 2003 to 2009, a past-President of Greystones Rugby Football Club and in 2008 was a member of the Government Task Force on Education. He is currently Managing Partner of the Firm. Gene is a member of the Wicklow Solicitors Bar Association and the Dublin Solicitors Bar Association.